Are you interested in publishing? Are you an author, editor, designer, illustrator or bookseller who would like to chat with like-minded people who live or work in the Pompey area? If so, the inaugural Portsmouth Book Bask is for you. Come and meet us between 6pm-8pm at the friendly Hunter Gatherer, Southsea on Albert Road. There will be no speeches, no agenda… just come and chat books. 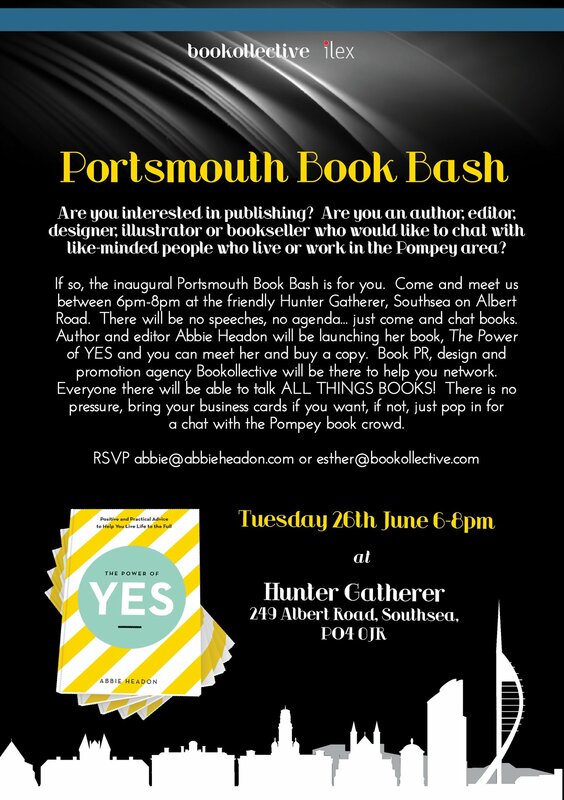 Author and editor Abbie Headon will be launching her book, The Power of YES, and you can meet her and buy a copy. Book PR, design and promotion agency Bookollective will be there to help you network. Everyone there will be able to talk ALL THINGS BOOKS! There is no pressure, bring business cards if you want, if not, just pop in for a chat with the Pompey book crowd.